Lip Gloss Gossip: Sonia Kashuk Giveaway and Review!! 15 Year Anniversary Brush Set! 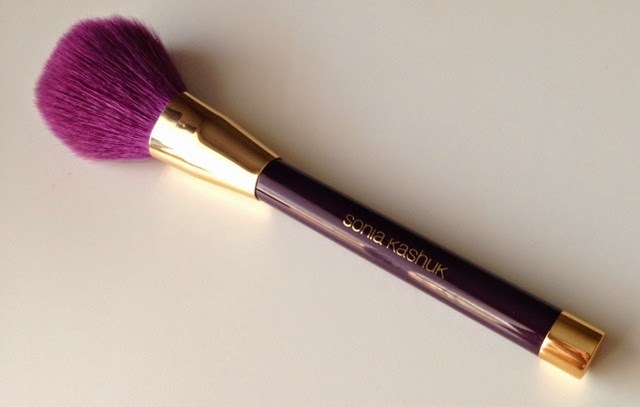 Sonia Kashuk Giveaway and Review!! 15 Year Anniversary Brush Set! 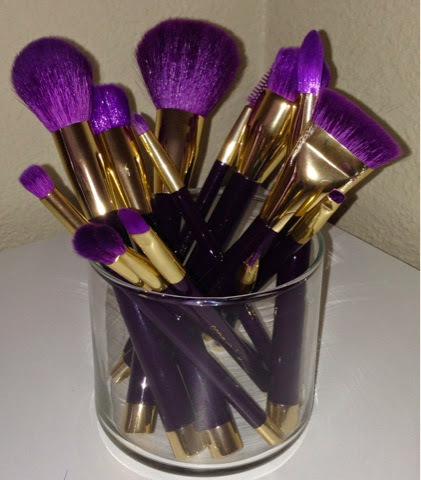 This is one of the largest brush sets I have seen Sonia Kashuk release and it's easily the most beautiful! The brushes feature a gold ferrule and deep plum handle. 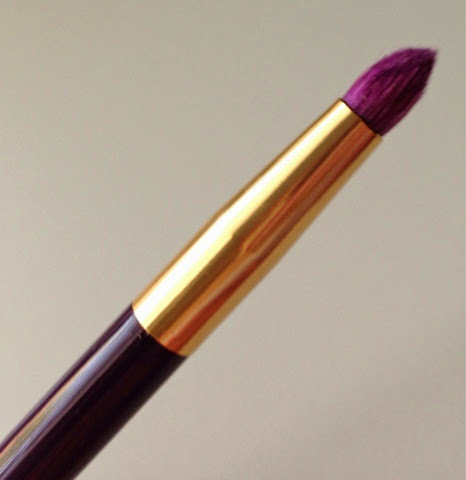 The bristles are made of natural and synthetic hair and are a gorgeous violet purple shade. First we have a large powder brush. I would say this brush gives a nice natural finish when applying powder as it's not overly dense. I had some minor shedding during the first wash but have had none during use at all. The bristles are soft and not scratchy. Love it! 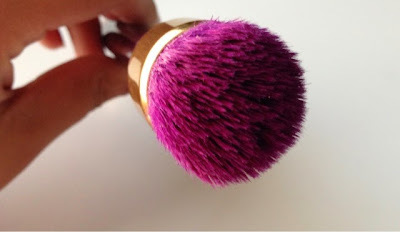 Next we have a round blush brush. I haven't had any shedding with this. It applies blush evenly. 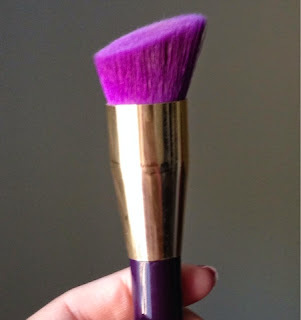 This is a bit denser than the powder brush so it picks up more product, so if you have some very pigmented blushes use this with a light hand. Love this one too! Here we have a buffing brush. This one is very compact and dense. If you want to apply foundation and get a heavier coverage this would be great. I find I don't reach for this brush much. I think it's a little bit scratchy. If I use it, it's mostly to blend out the edges of concealer on my face. Next is a angled synthetic brush. Lets ignore my chipped nails! 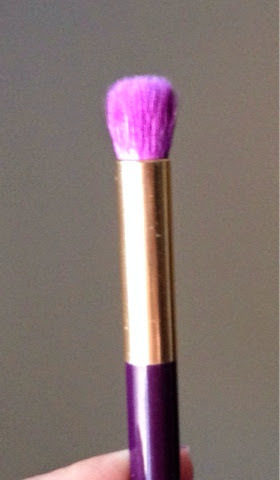 This is another dense brush, but because it's synthetic it's much softer than the buffing brush. I have used this one to apply my foundation and like it. The angle makes it easy to get around your nose or right up under your eyes. 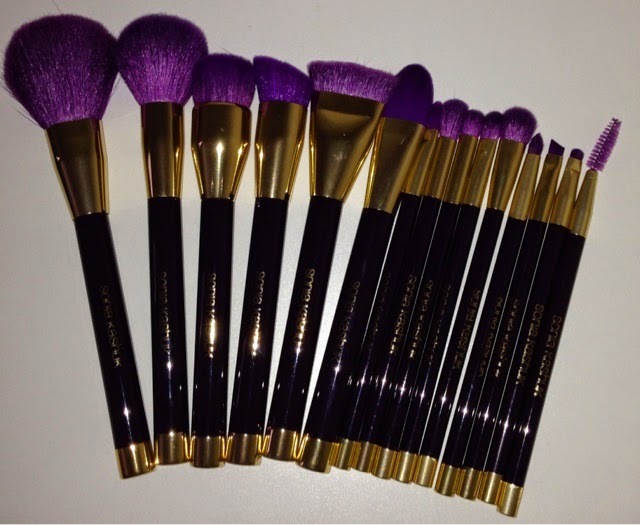 This is probably one of the most talked about brushes in the kit. It is flat contour brush. This brush is very dense. 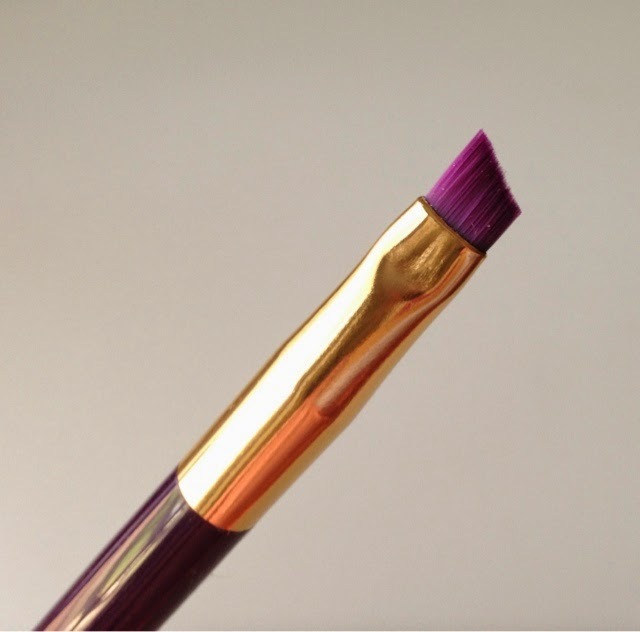 This brush allows you to get a very defined contour. You can go full out drag queen with this brush. It makes it very easy to get a sharp line. Because it's so dense, I prefer to use another brush to blend out the contour because I find if I use this same brush to blend, it almost blends it away. It's great for placement though! Next I have the synthetic foundation brush. I don't usually like these brushes for foundation but I have been loving it for my concealer! The synthetic bristles are very soft and the size makes blending in concealer a breeze! This is the synthetic concealer brush. This is really good for concealing small areas. It's great for cleaning up around the eyes or lips. The blending brush is a little bigger than I prefer but it does a good job at blending out edges. I mostly use this to apple brow highlight. This one is a little scratchy as well. 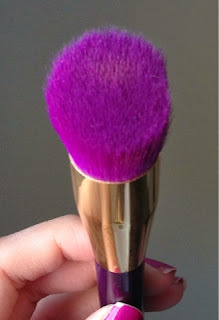 Next is a domed eyeshadow brush. This is another brush I don't reach for too often. If I do use it, it's to apply color to my outer corner. Here we have another eyeshadow brush. It is similar to a MAC 217 brush. I love this brush! I've been using it everyday. I think it's a great multipurpose brush. I can use it to apply color to the lid, outer corners, or crease. It's just amazing! Next is a large shadow brush. This is similar to a MAC 227 brush. It's great for applying color all over the lid, applying powder under the eyes, or even blending concealer. This is the pencil brush. I honestly don't use pencil brushes much. All of the ones that I had prior to this one I didn't love them. Well I finally found one I love! It's just so soft. 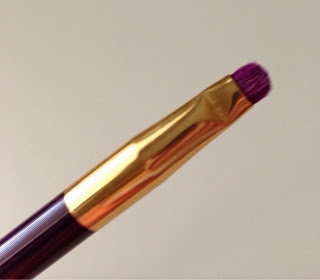 It is so easy to apply color to the inner corners or under eye with this one. I love that I can really create some smoky looks with this brush! Closer look at the pencil brush. Next is the angled brow/liner brush. This is my new favorite brow brush. I didn't love it with liner, but it's perfect to use with cream and gel brow products. I love it with my Anastasia Dipbrow! Here is a small detail brush. 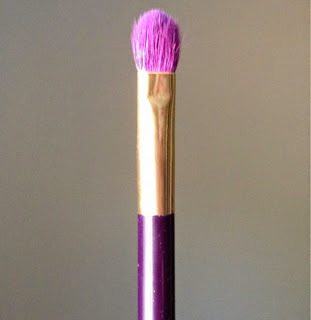 This is another great brush to really smoke out your eyeshadow. If you like to do a cut crease, this is great for getting precise application. Lastly we have a brow spoolie. I'm not too picky with brow sppolies but this get's the job done. I purchased these two weeks ago and have been using them every day since then. They are so beautiful! I think this set is so amazing, especially for the price. I got mine for about $30 on sale at Target. Regularly they are $39.99, but I still think that's a great deal. They are definitely worth picking up, that is if you can find them. They are currently out of stock at Target.com and many Target locations are out of stock as well! BUT that's where I come in! I purchased an extra set from my Target store and I will be giving it away!! Yay! I will be hosting the giveaway on my instagram. It's just much easier for me that way. I invite all of you to go and enter. I will be posting the giveaway right after this post goes up online. I will have full details on instagram on how to enter. It will be open Internationally as well! 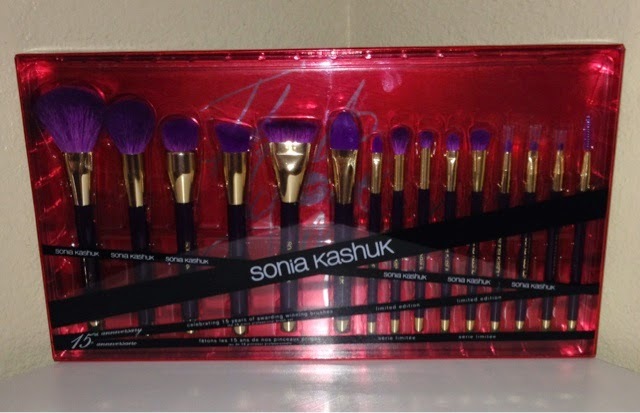 Were you able to score the Limited Edition 15 Year Anniversary brush set from Sonia Kashuk? If you do find it don't hesitate to get it! If you can't find it, make sure you enter my giveaway on Instagram!